Home › Library › News Archive › Step Up for Mental Health – and look good doing it! 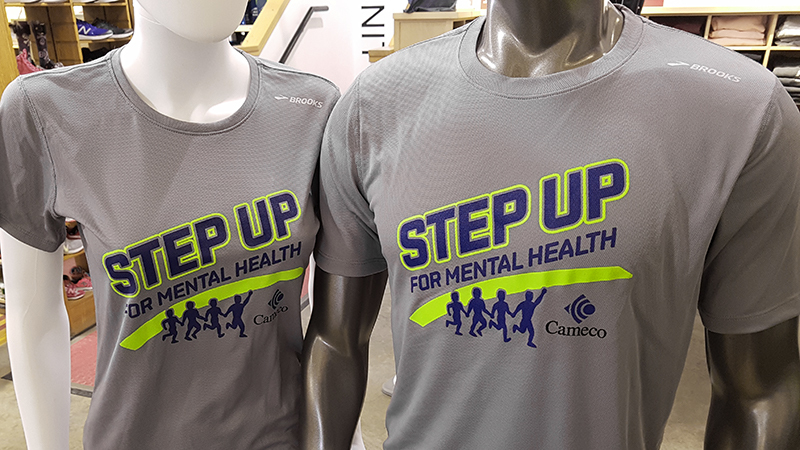 Step Up for Mental Health – and look good doing it! Register to run/walk 5K or 10K on May 11 in Saskatoon and then swing by Brainsport (616 10th St. E) to get your training shirt. These Brooks technical shirts are included for everyone who registers at the $45 level. They are available in both female and unisex cuts. All participants will receive custom running socks and hat, plus a medal as a thank you for stepping up! Best of all, every dollar of your entry fee and a matching amount from Cameco will support local mental health projects and services. Register for the run/walk today!